I'm really delighted to bring you another post in my series of interviews featuring some of the beautiful ladies for whom I have made jewellery. Lianne was the maid of honour at her friend Calli's wedding. She commissioned three pairs of 9 carat gold and Swarovski pearl earrings for herself and the two bridesmaids to wear. At what stage in the whole wedding planning process did you start thinking about your jewellery? It actually ended up being quite last minute. I was Maid of Honour for one of my best friends in December and we hadn’t given much though to jewellery until very late on. When the bride had decided she was giving us pearl necklaces as gifts she asked if we could source our own earrings but we only had a few weeks to do so. 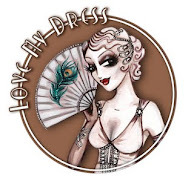 Through networking in the wonderful world of twitter – Sonia so kindly offered to help at short notice when I put out a shout out for help online. She sent through some pictures of her previous designs which the bride and other bridesmaids loved and we decided on something similar from there. How did you decide what jewellery to wear? 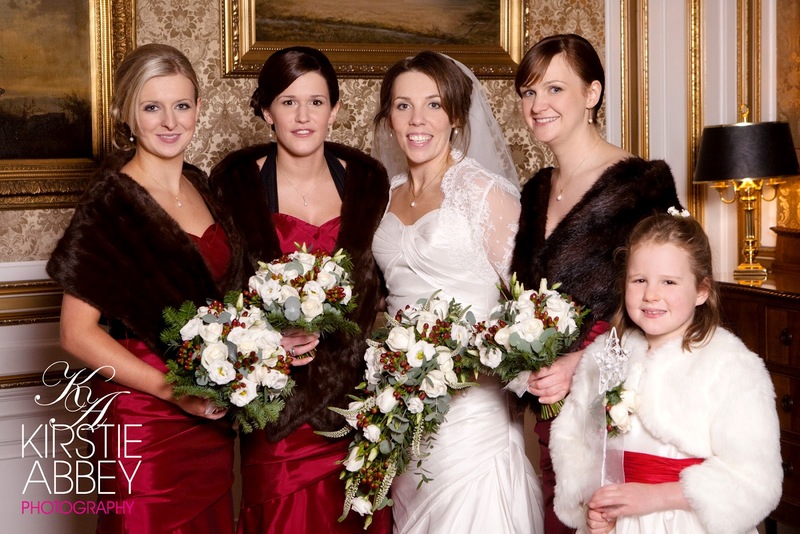 The whole wedding was a very classy affair so we wanted something very classical and simple that would compliment the stunning venue at St Palladius and Drumtochty Castle and not draw too much attention away from our beautiful vintage fur stoles. We knew that they had to be gold and decided that a drop earring would suit best as we were having our hair up. What did you enjoy most about having your jewellery designed and made for you? That we could customise it exactly to our requirements, the length of the drop, colour of gold, to the size and shape of the pearl. 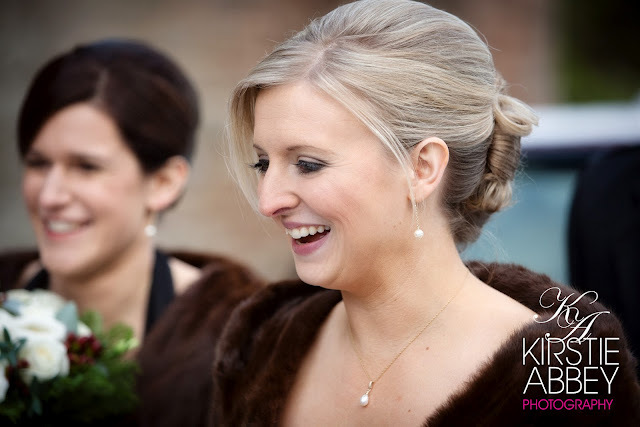 It made it so easy to match our existing jewellery and the bride was delighted with how they all went together. Sonia was wonderful in all her assistance especially as we were quite far away and all correspondence was done by email. We were thrilled with the final products! Be organised, we left it very last minute and counted ourselves extremely lucky that Gioia Mia could fit us in at such short notice! Also, don’t be afraid to ask…if you can’t find it already there’s no harm in asking if it can be done, make the most of having a designer on hand to create something special just for you!